The 136DK Alimento Scale by Escali sits on an elevated stainless steel platform that makes the display more visible to the user. The easy-to-read display has large numbers that show measurements with a bright back-light. 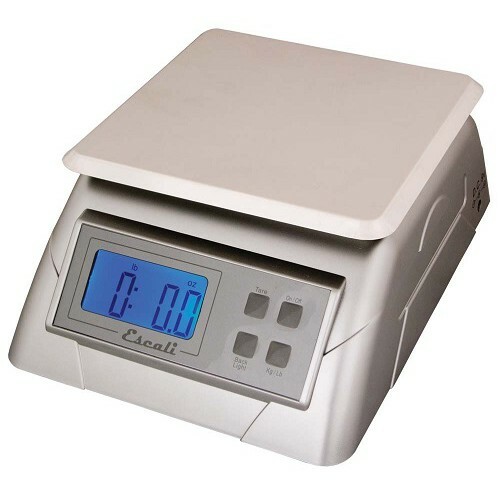 The scale has a highly accurate and durable sensor and is perfect for a kitchen, laboratory or office setting. The entire control panel is sealed to protect the hardware and buttons against spills. One of the features included is the tare button, allowing users to set the scale back to zero to exclude the weight of the container. There is also an automatic shut-off feature that turns the scale off after 30 seconds on inactivity in order to preserve battery life. 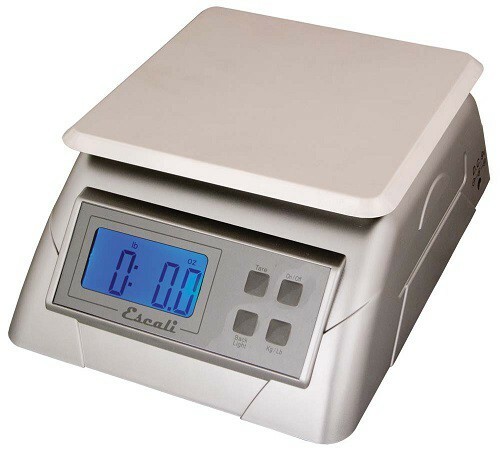 The 136DK Alimento Scale has a capacity of 13 pounds and comes with a 9-volt battery.